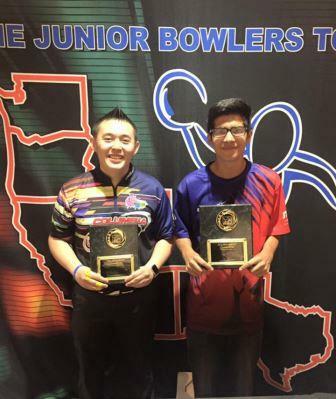 Dallas Leong and Ruben Mendoza wrapped up the 2016-17 Mojave Conference regular season with big wins in exciting action at Las Vegas' Gold Coast Lanes. In a battle of Team USA members and near-future WSU teammates, Cortez Schenck beat Wesley Low 233-227. Ryan Lee then stopped Schenck 247-156. Harley Sweigart then turned the tables on Lee 233-162 to advance to the title match. Leong has only had time for guest appearances this season but has made the most of them, and it was no different here as he defeated Sweigart 256-210 for the 16th title of his JBT career. 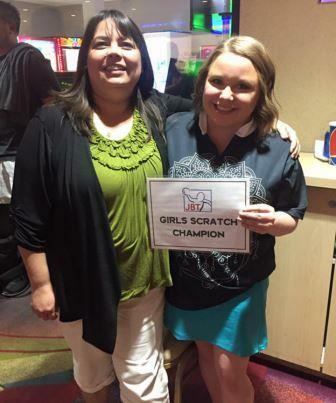 Abby Franklin began the 8-bowler handicap finals with a 254 game that edged Avery Domaguin (251) and beat Dylan Dormuth (214). Tyler Hedges then fired 225 in round two to stop Frankln (201) and Kyle Perry (211). In a thrilling semifinals, Jason Aguon posted 180, and could only watch as Kyle Wilson's spare gave him 203 to Hedges' 202, advancing Wilson to the title match. Ruben Mendoza grabbed the top seed in an excellent performance, and continued to be strong in the title game. 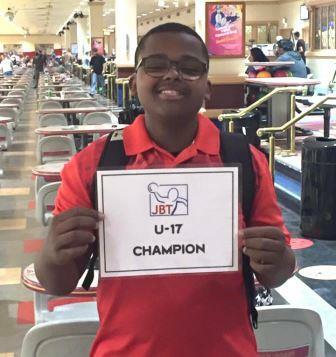 He defeated Wilson 206-164 for the first title of his JBT career. Marguerite Evans won the Girls Scratch side event with a 178-171 win over Samantha Conti, while TJ Rock earned the U17 win with a 218-169 defeat of Skyler McGowan. Thanks as always to Gold Coast for hosting us. The field is now set for the Mojave Invitational, featuring $1,000 top porzes and over $5,000 in scholarships to be awarded!